Items quoted below are from the January 1996 Book 'em review in Magazine. Reviewer Sean Clark gave this book a four-star rating, calling it "a recipe for putting your business online" and "an introduction to what the Net has to offer – it's ideal ... for the time-is-money business person." 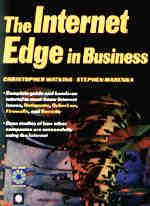 The Internet Edge in Business is a guide to getting business online. It briefly outlines the history of the Internet, then explores Internet tools from a business perspective focusing on standards, cyberlaw, security, netiquette, and Internet problems and advantages. The book provides case studies of companies that have successfully made the Internet migration and includes a useful resource guide and discussion of "where it's all going." 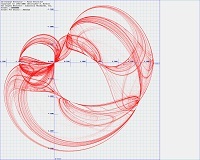 Advanced Engineering Mathematics: A Computer Approach provides a comprehensive collection of mathematics techniques useful for engineering, computer graphics and simulation. 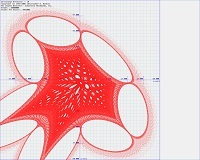 Included is simple C code for 2-D and 3-D visualization and plotting. Photorealism and Ray Tracing in C was labeled as one of the all-time "Seven Essential Books on Graphics Programming" by Journal. It became an industry best-seller and a leading text on photorealistic image synthesis both domestically and internationally. The following quotations are excerpted from the June 1993 Objects and Graphics review in Magazine. 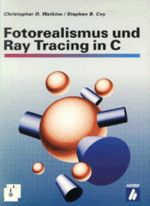 Reviewer Walter Zintz deemed the book "crystal clear" and "all you need to get started in ultra-realistic computer imaging." 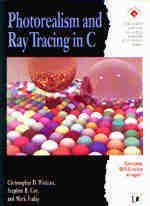 Photorealism and Ray Tracing in C serves as a "smooth introduction for programmers" and for anyone interested in learning the basics of practical ray tracing. Ray tracing saves time in photorealistic scene creation by rendering only the light rays that reach the viewer's eye. 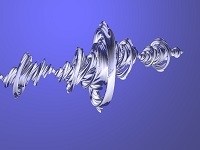 It does this by reversing the direction of the light ray's path, shooting a ray from the viewer's eye back through the computer screen, back through the objects it intersects, and finally back to the light source itself. 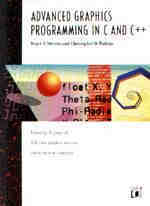 The book begins with a quick review of the C language and an explanation of the basic graphics modules and supporting mathematics. 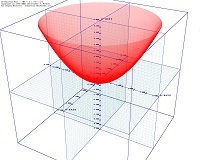 It then focuses on the fundamentals of ray tracing, the basics of light physics, ray-object intersection, anti-aliasing methods, and ray-tracing code functionality, making the complex mathematics accessible to everyone. In closing, it covers construction of 3-D scenes and procedural models for the ray tracer and discusses some advanced image processing topics. The "easy to understand" programs reserve the complexities of animation and intra-scene light diffusion for brief treatment in the last chapter, and provides sources for further information. The writing is "surprisingly seamless for a multi-author book." 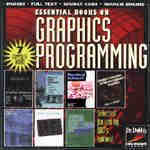 It is geared to programmers generally familiar with college-level math and basic computer graphics. "The style is appropriate to the level, neither above nor below the intended audience's heads." "There are 16 full-color pages of gorgeous ray-traced images," and full source code is provided to generate all of the book illustrations. The quotes throughout are from the August 1995 book review in The Australian Computer Journal . Reviewer Sid Ray calls this "an ideal introductory text" and a "unique book...to get hands-on experience with a number of image processing techniques." Modern Image Processing: Warping, Morphing, and Classical Techniques is useful to both beginners and advanced learners. "The strength of the book lies in its naturally simple way of describing different image processing methods, both classical and modern, and its inclusion of the corresponding C codes which are very well-documented." The book avoids detailed mathematical treatments in order to make it more accessible to its intended audience, the beginner. It opens with the basic hardware and software requirements for image processing systems, focusing on the theoretical details of CCD detectors. Other topics include basic image processing concepts such as arithmetic operations, geometric transformations, digital filtering, color reproduction and dithering. Before-and-after images illustrate the effects of simple image processing operations. 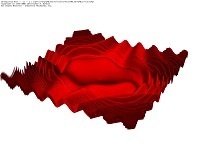 Advanced geometric transformation topics include basic image warping and morphing, supported by interactive programs which "make very quick and impressive image warps on the PC." Also covered are contrast and sensitivity control, contour plots, gamma correction, object extraction by contour, and surface and 3-D plots. Current applications in astronomy, medical and biological imaging, and commercial art are presented, as well as future applications in geographical information systems, machine vision and robotics, post office automation, and printing. 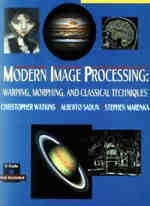 A sample of the book is available at Modern Image Processing. Quotes below are excerpted from the 1994 Holiday Gift Guides of and Magazine. Reviewers Tim Albano and Kevin Savetz call Taking Flight an "excellent flight attendant...heavy on theory but remarkably readable nonetheless" and claim "these subjects can be a bit dry, but authors Watkins and Marenka have made them rather intriguing." 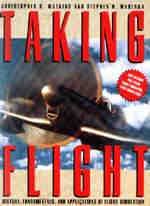 Taking Flight outlines a short history of real flight and flight simulation. 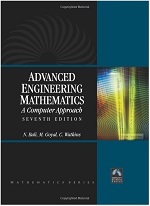 The book focuses on the commercial and military applications of flight simulation, covering fluid mechanics, aerodynamic drag, propellers, rocket engines, cockpit resource management, gauge and control simulation, and flight simulation software development. Source code for a simple PC flight simulator is included. The October 1994 review in states that this book's "informal, wide-ranging discussion of the history and potential future of virtual reality makes for light, interesting reading, including lots of neat facts about the odd way our senses...behave" and that "if you are interested in thinking and reading about the amazing possibilities of virtual reality, and even in playing with some code, then this book is for you." 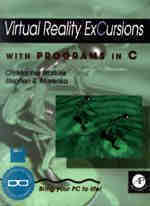 Virtual Reality ExCursions with Programs in C teaches how to produce a basic polygonal 3-D virtual world on the PC. It also addresses human perception issues as they relate to virtual reality. The book includes anaglyph 3-D glasses, all C source code, and a detailed list of VR information sources. 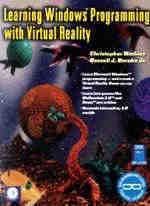 A sample of the book is available at Virtual Reality ExCursions. Christopher D. Watkins and Russell J. Berube, Jr.
Learning Windows Programming with Virtual Reality provides an interesting platform on which to learn Microsoft Windows® programming by covering the development of a texturing 3-D game engine and application similar to Wolfenstein 3-D® and the popular game DOOM®. It comes with all C and C++ source code, as well as anaglyph 3-D glasses for stereo viewing. 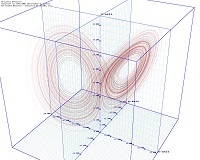 Reviewer Albert Zobrist made the following comments about Stereogram Programming Techniques in the October 1996 Three-Dimensional Graphics and Realism column of Computing Reviews : "an excellent presentation of the psychophysics of stereo perception for the average reader"  "an excellent job" explaining "the geometry and logic of each algorithm"  "Watkins and Mallette cover a great breadth of history and knowledge in an interesting and breezy writing style"  "even if one ignores the algorithms, this is an interesting book that could be considered for a gift or coffee-table purchase." 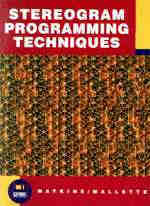 Stereogram Programming Techniques is suitable for a wide audience from programmers to stereogram buffs. The book covers a variety of both historic and modern stereograms, including classic two-image stereograms viewable without special glasses. It describes the generation of Single-Image Random-Dot Stereograms (SIRDS), single random dot sets which fool the eye into seeing 3-D. It teaches readers how to generate the Single-Image Stereograms (SIS) commonly seen in Sunday newspaper comics and Magic Eye® products, which achieve a similar effect to SIRDS through horizontally repetitive tile patterns. It also covers cross-eyed and wall-eyed divergent viewing techniques. The book includes algorithms, illustrations, color plates, and high-quality hand-crafted SIS's from 12 outside contributors, as well as anaglyph glasses for viewing 3-D animations. 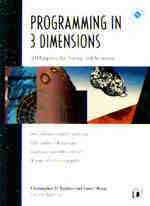 Programming in 3 Dimensions: 3-D Graphics, Ray Tracing and Animation is a beginner's book on computer graphics and animation. 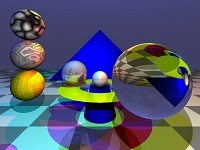 It provides complete C source code for a simple ray tracer and polygon renderer, both used in the generation of animation sequences. 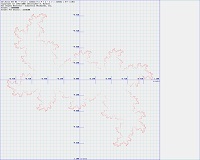 A variety of database generators are provided to create both geometric and fractal shapes. 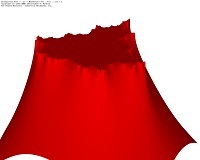 Advanced Graphics Programming in C and C++ is a beginner's book on computer graphics providing complete source code for a simple ray tracer, polygon renderer, height-field renderer, and fractal generator. 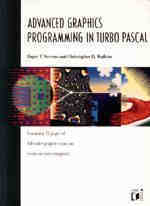 Advanced Graphics Programming in Turbo Pascal is a beginner's book on computer graphics providing complete source code for a simple ray tracer, polygon renderer, height-field renderer, and fractal generator.